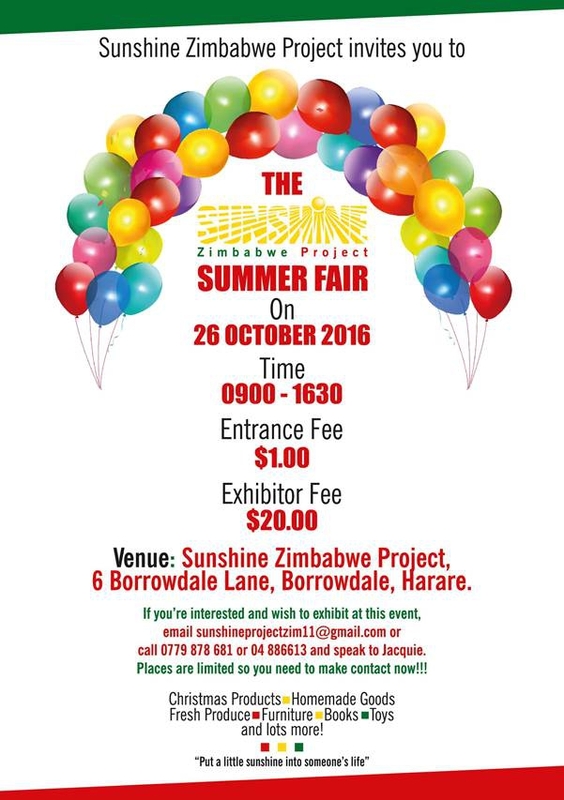 Sunshine Zimbabwe Project invites you to Summer Fair on 26 October 2016 at Sunshine Zimbabwe Project, Borrowdale. ''Put a sunshine in someone's life.'' Time 9:00- 16:30. Entrance $1 and Exhibitor fee $20. or (+263 4) 886613 and speak to Jacquie. Places are limited you need to make a contact now. Christmas Products- Homemade Goods- Fresh Produce- Furniture- Books - Toys and lot more.